يقع فندق Key Largo Apartments، المصمم ليناسب كل الضيوف سواء كانوا من رجال الأعمال أو السياح، في مكان ممتاز في أحد أكثر المناطق تفضيلاً في بورليغ هيدس. يمكن من هنا للضيوف الاستمتاع بسهولة الوصول إلى كل ما تقدمه هذه المدينة النابضة بالحياة. يشكل هذا الفندق ملاذاَ مريحاً للاسترخاء ويمنح زواره فرصة للاستجمام والتجدد، وهو يقع على بعد خطوات من المعالم السياحية الكثيرة للمدينة كمثل: بورليغ هيدز, Hot Stuff Surfboards, The Jewellery Studio. يعمل Key Largo Apartments على ضمان إقامة مريحة لضيوفه من خلال خدماته الممتازة وحسن ضيافته. يمكن الاستمتاع بمجموعة من الخدمات على أعلى المستويات في الفندق كمثل تسجيل وصول/خروج سريع, تخزين الأمتعة, واي فاي في المناطق العامة, صف السيارات, رعاية أطفال. تعكس غرف الفندق البالغ عددها 2 المنتشرة في 3 طوابق جواً من الدفء والألفة.خدمات عصرية مثل بياضات, صوفا, مناشف, اتصال لاسلكي بشبكة الإنترنت (مجاني), غرف لغير المدخنين موجودة في بعض الغرف المختارة. صممت خدمات الاستجمام في الفندق والتي تتضمن حوض استحمام ساخن, مسار جولف - ضمن 3 كم, حمام سباحة خارجي, سبا, حديقة لمساعدتك على الاسترخاء والراحة. اكتشف مزيجاً ساحراً من الخدمة الاحترافية والخيارات الواسعة من وسائل الراحة والمتعة في Key Largo Apartments. Very Nice location if you self drive.room facing main road about noisy. Great location, excellent service. Enjoy foxtel and comfy bed. Pros: The location is great. It's next to the beach and shops. The block is gated and feel secure. The rooms are big enough. We enjoyed the Foxtel. It was very good value in the area. Cons: Try to avoid the rooms next to the high way because of the constant traffic noise. The car park is bit of tricky. Be aware that they don't supply shampoo ,conditioner and soap which was the only disappointment after our arrival on a hot day and needed a shower. Hi Yi, Thank You for the lovely review. Yi we seldom have complaints about the road noise as all the apartments on the highway side have double glazing and if both are closed the noise is very minimal. I'm very surprised there was no soap as we do supply soap for arrivals. By not supplying shampoo & conditioner we are able to keep our prices down. So friendly and kind, would definitely recommend staying there. The staff were really helpful, the pool & spa were very refreshing after a hot day, close to beach and transport, very enjoyable. I myself found the place satisfactory however my fussy travelling companions had many complaints. The facilities were old fashioned and somewhat degraded, having noticeable wear and tear - all rooms, wardrobes, kitchen and bathroom. Poor condition of cookware and kitchen implements. There was insufficient supply of toiletries (1 tiny soap for the 3 of us, no tissues, etc. ), torn manchester, no main light in the room (small bedside lamp instead), no wi-fi, etc. Again, I myself have no complaints about any of these things, happy just to have the accommodation at short notice, but admittedly it was poor value for money. It was great, we had a great time. The receptionist was very helpful, and the apartment was spacious and clean. The only thing I found strange, was no overhead lights in the bedrooms, and feel that if the kids were small, you would need overhead lights. The beach was a bit cold, so we stayed in the pool/spa. A great time, and I will be back. Absolutely Fantastic, Highly recommend. Family friendly, staff are very professional and customer friendly. Excellent facilities. Location at it's best. Recommending to family and friends. Exceptional value for money. 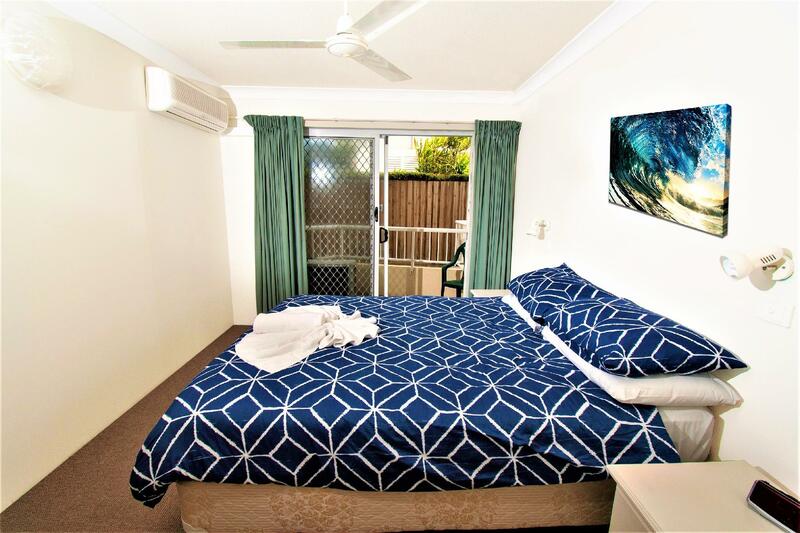 No problems, worked well with 2 pre-teen children, dryer great when near beach and pool, kitchen very workable, Foxtel (50 channels of nothing :-) including ABC3, double bed not most comfortable but we are spoilt at home. good space for all. communal bbq area near pool very good, everything very neat and clean. Entry from underground car park a bit strange but works well enough. Self catering is the go, we did not try available food delivery. We would definitely consider Key Largo again. very relaxing holiday and great value for money. Low profile staff, friendly lady. The friendly staff, the location, family friendly. Stayed at key largo for a week with my 2 year old son and husband. 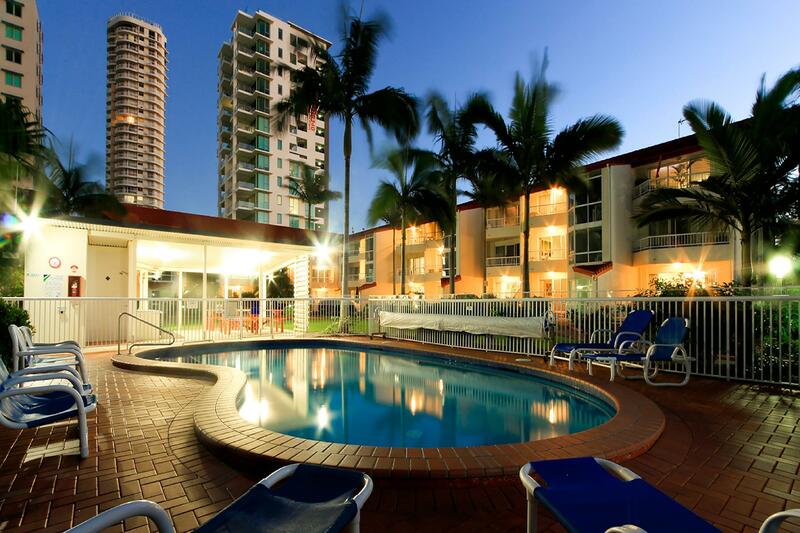 Great location at Burleigh Heads - we prefer to be away from the main areas of Broadbeach and Surfers. Burleigh Heads is much quieter but still has the beach and a variety of shops and dining on offer and is only a 10-15 min drive to Surfers. Our apartment was a little dated but comfortable and overlooked pool. 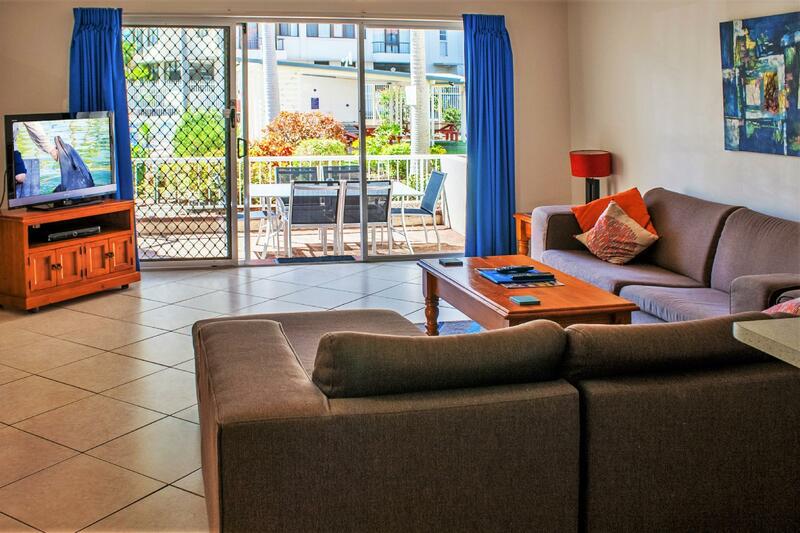 It had a good size kitchen and full laundry facilities which were both important to us with a small child. The pool was great for young children and was heated everyday. Overall a good value for money choice for families .